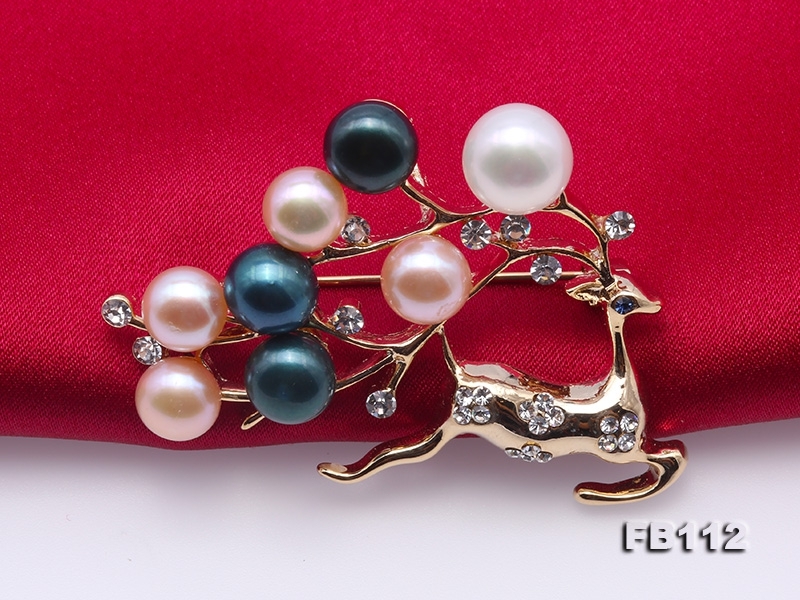 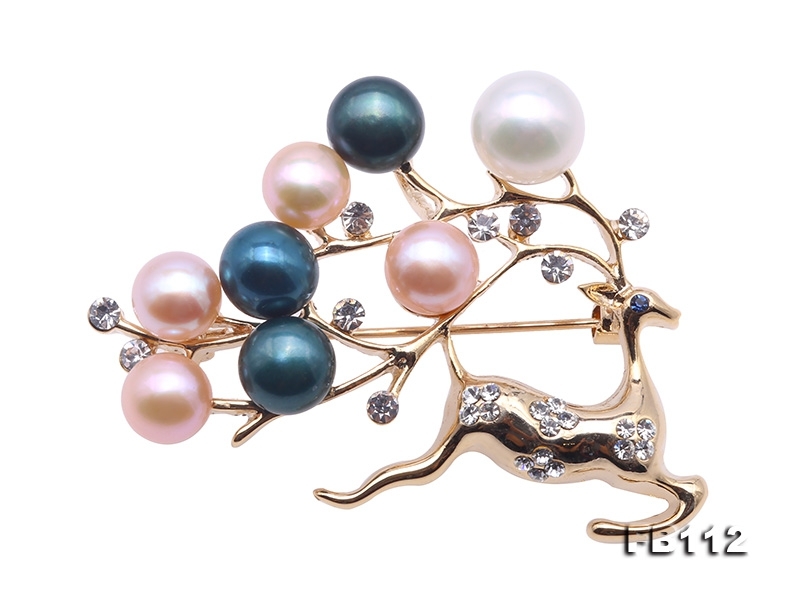 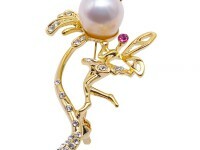 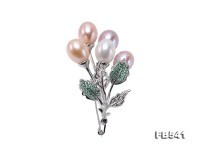 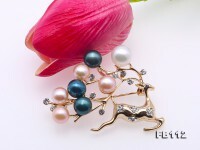 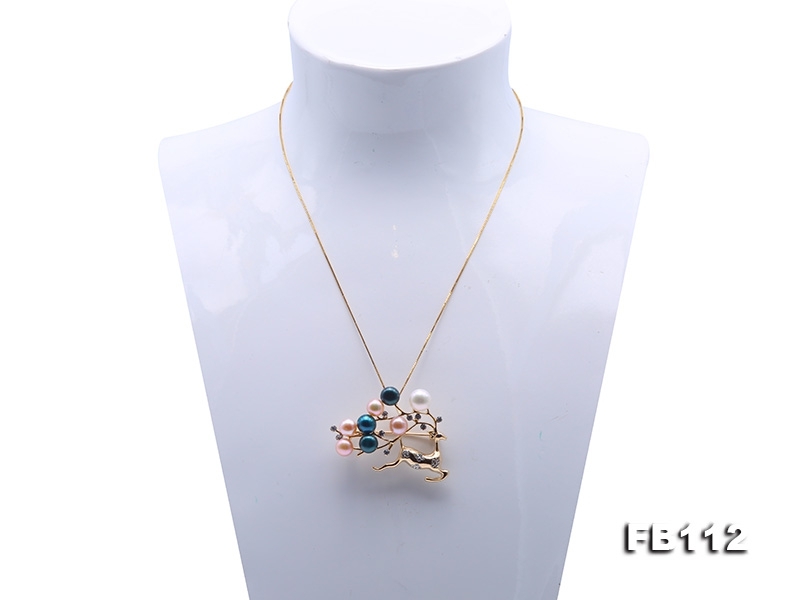 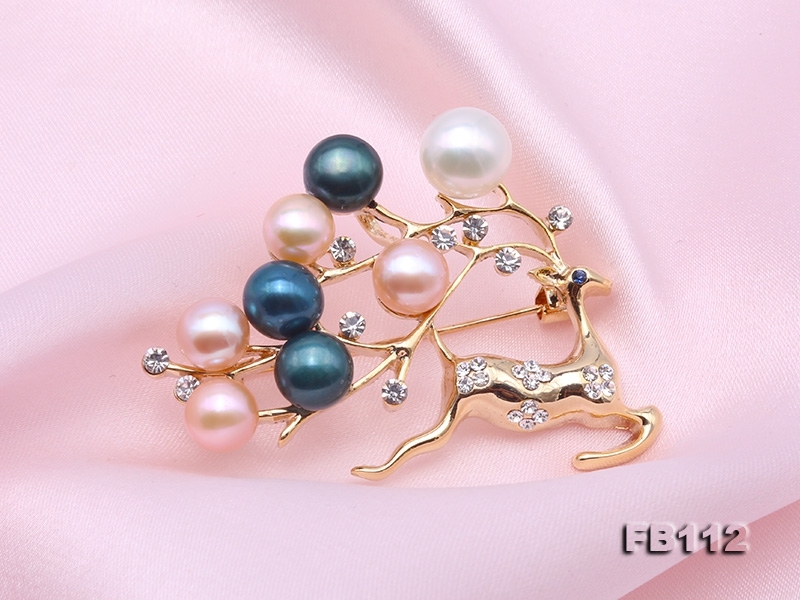 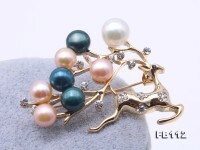 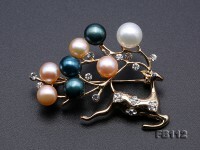 Lovely deer-shape pearl brooch, made with 7-9mm colorful freshwater pearls decorating with shiny rhinestones. 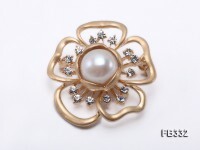 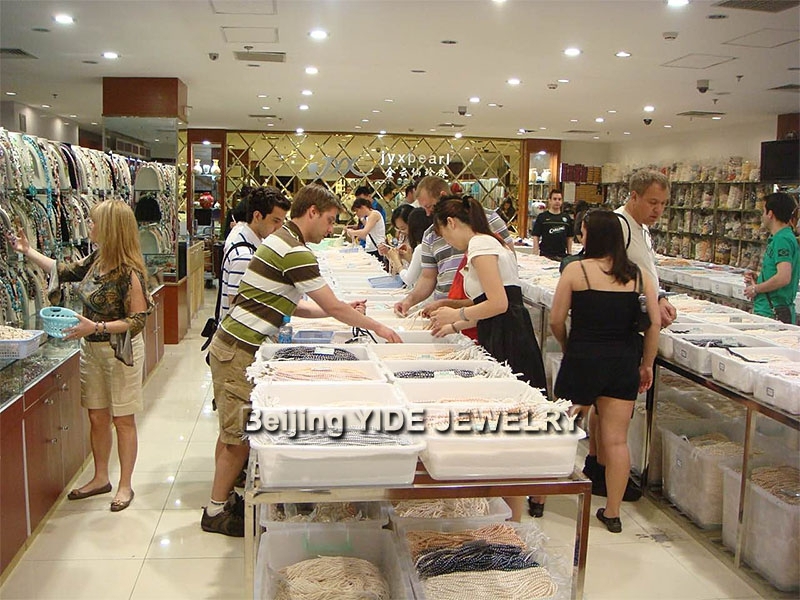 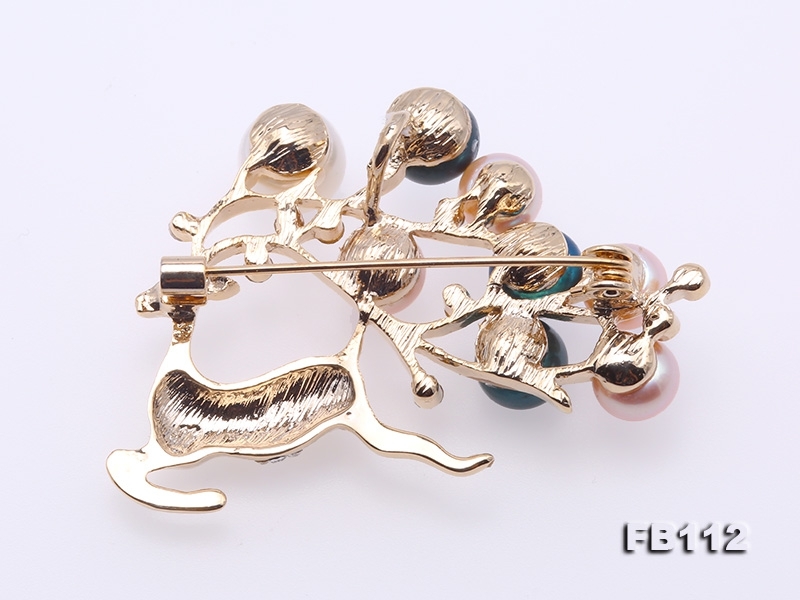 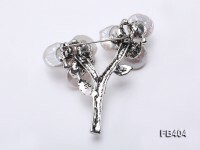 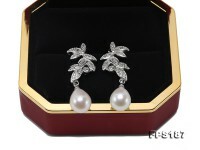 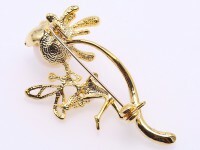 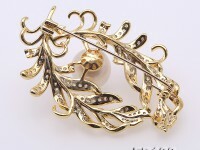 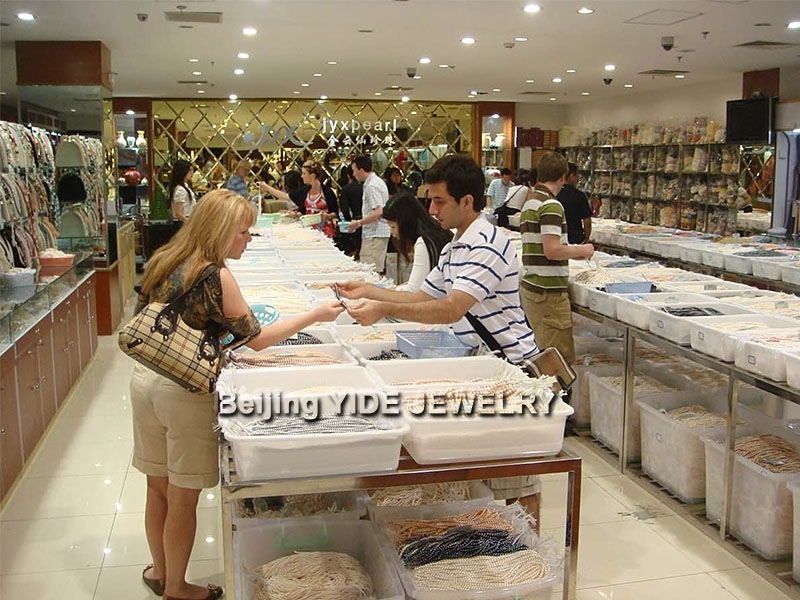 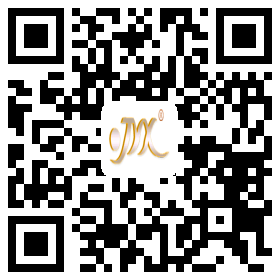 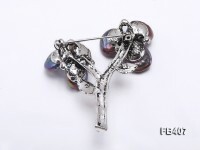 The brooch has creative sika deer shape, the delegant deer horn is elaboratively big and lustrous. 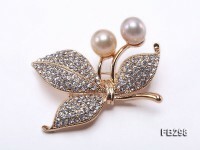 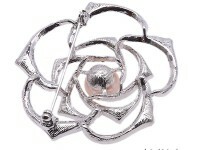 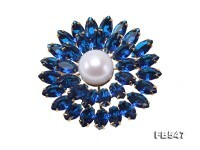 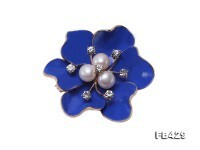 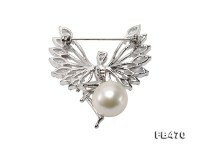 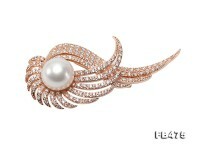 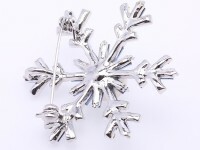 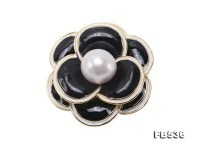 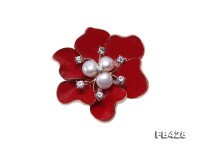 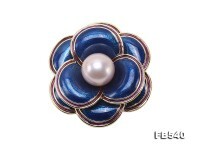 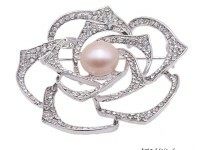 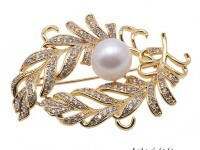 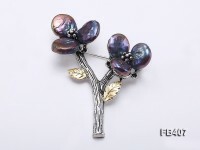 Brooch is a perfect accessory for any dress. 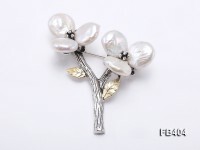 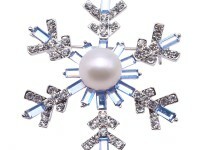 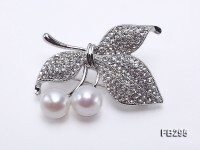 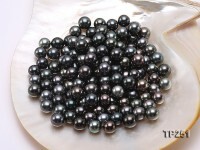 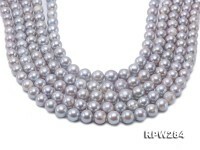 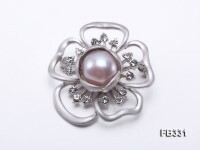 Accentuate you bust lines by placing an attractive brooch at the bottom of the neckline, or get that ladylike, demure look by accessorizing your little black dress with a fine pearl brooch.